Update 10/26: The book is now (finally! at last!) available for Nook and Sony as well as Diesel, Smashwords, Kobo and Kindle! Scroll down for links! If you already love elephants, lions, zebras, or giraffes, why not add the magnificent rhinoceros to your list of favorites? Rhinos are some of the largest animals on Earth and they wear swords on their faces, but they can’t protect themselves from human greed and violence. They need all the help they can get! Jessica Knauss’s new collection of short stories is a fun, really inexpensive, way to learn more about rhinos and what makes them special, just in time for World Rhino Day: September 22. 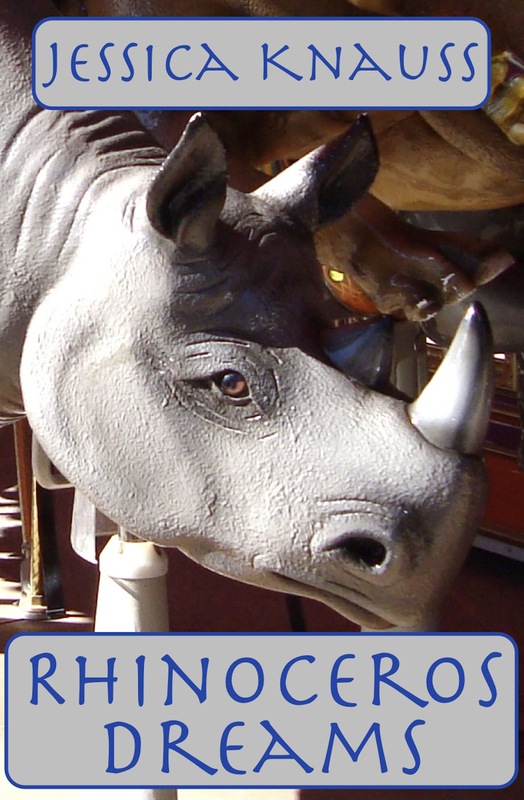 “Rhinoceros Dreams” tells how Allie, a woman fascinated with rhinoceroses, finds true love in the human world with a bookworm. Can he ever truly understand her? 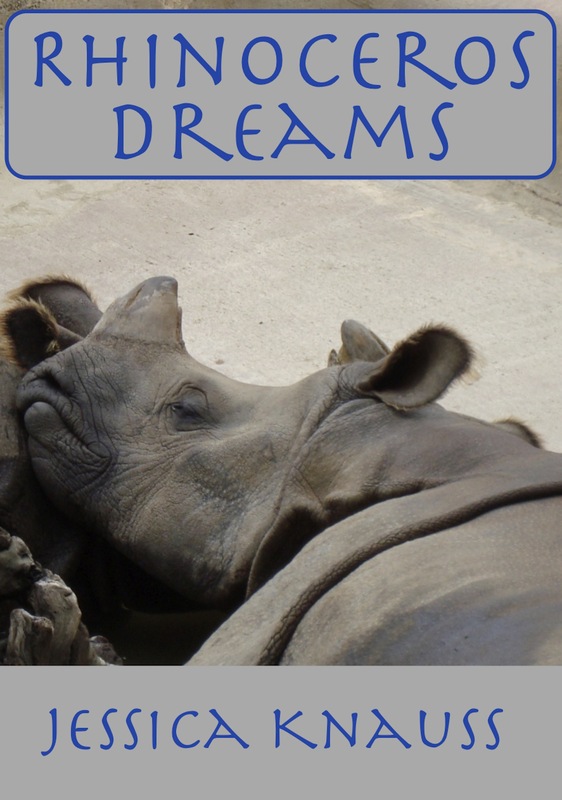 Can she make her rhinoceros dreams come true? Previously published in This Mutant Life and Jake’s Monthly Anthology. “Not Extinct Yet,” available exclusively in this collection, happens in an alternate world in which animals can talk. Intrepid rhinoceros linguist Suzanne takes on the responsibility to save her African rhino friends from extinction by mindless poaching. When you want to know something about a rhino, you should always ask a rhino! Find out about the story’s origin here. “A Business Venture in Glue” is a weird flash fiction that uses a rhino escaped from a zoo to suggest themes of collectionism and possession. Previously published in Stanley the Whale. The magic of rhinos lies not in superstitions about their horns, but in their majesty and in all creatures’ basic right to live. This entry was posted in New Release and tagged african rhino, animals, ebook, endangered species, magic realism, rhinos, short stories. Bookmark the permalink.